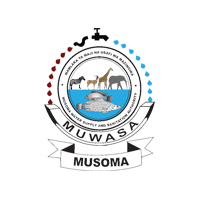 Musoma Water Supply and Sanitation Authority (MUWASA) is a utility established under section 9 of the Water Supply and Sanitation Act No. 12 of 2009 with the objective of provision of Water Supply and Sanitation services in Musoma Municipality. i. To repair all water leakages. ii. To assist in connecting new water customers as scheduled. iii. To report on unauthorized water connection. iv. To report of sewerage pipe faults to responsible officers. v. To assist in carrying out water disconnections and re-connections. vi. To reconnect water debtors as assigned timely. ii. To keep records of water distribution. iii. To participate in making follow - up of main water distribution lines. iv To monitor air valves and conduct wash outs and flashing. v To remove stagnant water and other sediments in water networks. vi. To perform any other duties as may be assigned by Supervisor. Holder of National Form IV Certificate with passes in science subject plus Trade Test Grade III or II in Plumbing and Pipe Fitting or equivalent qualifications from any recognized Institution Computer literacy is added advantage. i. To assist in correcting customer bills and keeping records. ii. To assist in computing customer bills. iii. To receive and assist in preparing customer data. iv. To performing any other duties as may be assigned. Holder of Form IV/VI Certificate of Secondary Education and who has attained Certificate in Sales Management. Business Administration, Marketing, Procurement and Supplies Management or Logistic Management from recognized Institution. He or She must be computer literate. Possession of at least three (1) years of working in similar field. i. To skilfully all types of vehicles and to be able to detect any vehicle defects and promptly reports to the supervisor. ii. To keep vehicle in good condition including keeping it always dean and tidy. iii. To keep log - book sheets up to date in connection with vehicle movements. iv. To carry out minor repair and adjustments on vehicles entrusted to him. v. To performing any other duties as may be assigned. Holder of Form IV/VI Certificate with a pass in English and Swahili with a valid class "C" driving license or the person must have driving training certificate from National Institute of Transport (NIT) as a necessary requirement. Possession of Trade Test Grade I in Motor Mechanics from the Vocational Education Training Authority (VETA) or Chuo cha Ujenzi is an added advantage. i. To distribute files to schedule officers for action. ii. To maintain a daily record of movement of files. iii. To address, sort and dispatch letters. iv. To check and cross check mails, claims and returns. v. To maintain records/ documents in the registry. vi. To file, dispatch and cross check correspondences. vii. To receive and register incoming and outgoing mails. viii. To receive previews, record and facilitate filling and distribute incoming mails. ix. To performing any other duties as may be assigned. Holder of Form IV Certificate of Secondary Education plus Certificate in Records Management or Office Management from recognized Institution. He /She must be computer literate. Only qualified persons should submit their letters of application with copies of relevant academic and certificates so as to reach the undersigned not later than 04th August. 2018. 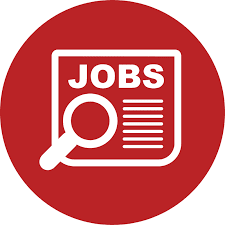 Applicants are also required to indicate the names and contacts of at least three (3) work/professional related referees..
Only short listed candidates will be informed for interview.